In a previous post I wrote about how H7d mt-dna came to Bulgaria with the Bulgarian Empress Kosara, the wife of Czar Samuil. 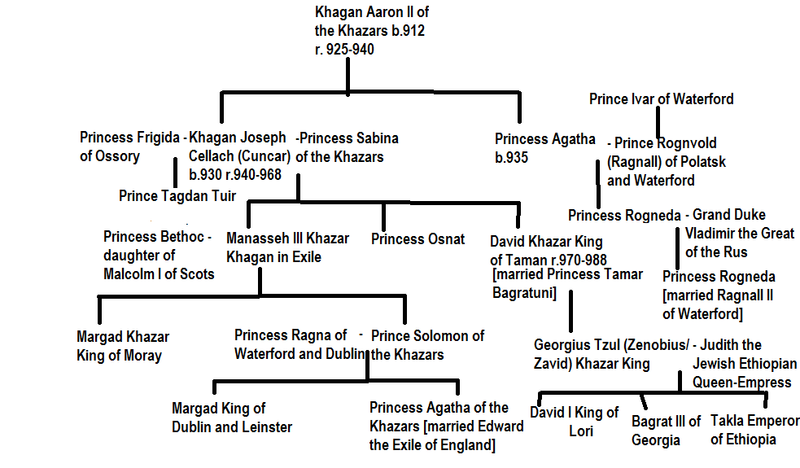 In researching this I was to discover Kosara's maternal ancestry to be connected to the Ashina or Asena Clan of the so-called Turkish Khans and the Khazar Kings. Ashina means "she-wolf" and the themes of the wolf and she-wolf is found throughout the history of these ancestors of Kosara. The name Kosara or Kozara coming from the title of the Lady of the Khazars. The trail of these Ashina she-wolves takes us back to the time of the Chinese Empress Ashina and into Chinese history to Lady Wang. In researching Lady Wang I discovered that the whole history of the dynasty of female Wangs (Queens) had been hidden and rewritten by Chinese scribes and historians. The first Emperor of the Qin or Jin patriarchy of China destroyed all the literature of history, poetry and philosophy that didn't agree with the new dominant patriarchal and legalist philosophy of the State. I had already before in other articles written about the coming to China of the remnant of the exiled tribes of Manasseh, Asher and Gad under the Israelite's last King Hosea (the Yellow Emperor) of the Tribe of Manasseh (R1a-Z93 y-dna) and his wife's connection with Hsi-Wang-Mu (Queen Mother of the West). I also wrote of how the Tribes of Gad and Asher belonged to O ydna. I have also written of the Manassehite Horse Warriors moving from Western China into the north-east and establishing the Xionghu Empire from which the Cumans descend. The Turkish peoples come from a mix of these Tribes of Benjamin (Q ydna), Manasseh and Ephraim (R1a ydna), Gad and Asher (O ydna), Naphtali and Dan (N ydna), Sons of Leah (R1b ydna) and others such as the Syrian G ydna. The Empress Kosara was the daughter of John Chryselios the Byzantine Ruler of Durres (Dyrrhachium) in Albania and his Jewish wife Mirela of Durres. Mirela's mother Kozara (b.913) was a daughter of King Benjamin of the Jewish Khazars and his wife Queen Ashina (b.895). Khagan Benjamin was a warrior king who had to fight against numerous nations allied against him as well as the Khazarian Muslims who were becoming a law unto themselves during his reign with the Alans (at this time many of the Alans were Jews) being his only supporters. His daughter Kozara married the Byzantine Governor of Dyrrhachium (Durres) Leo Rhubduchus who was of Jewish Radanite and Khazar ancestry connected to the family descended from Byzantine Emperor Leo IV the Khazar. 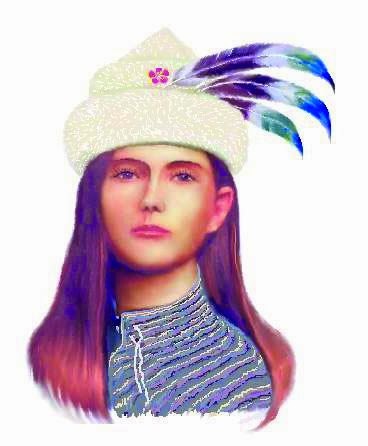 Queen Ashina of the Khazars was the daughter of Princess Anna of Bulgaria and her husband Prince Swatopulk of the Moravian Khazars (son of Marot of Moravia son of Mojmir Khazar Duke of Moravia uncle of Marot (Marovec/ Moses) King of the Bihar Khazars and Khazaria). Queen Ashina's sister married Leszek I Grand Duke of Poland. Princess Anna was the daughter of Czar Boris I of Bulgaria and Princess Mirel (Marija) of the Khazars. King Moses Marot of Khazaria established the Khazar Kingdom of Bihar on the borders of modern day Hungary and Romania. His uncle Mojmir led a group of Bihar Khazarians to Moravia where he became the Jewish Khazar Duke of the Moravian Khazars and ancestor of the later Dukes of Moravia. Mojmir's son Sveti (Holy) Marot (Svetimir) was the Jewish Duke of the Moravian Khazars and his other son Ratislav became a Christian under the influence of the Holy Roman Emperor Louis the German who supported him as the Duke of Moravia. Ratislav invited the saints Cyril and Methodius to teach the new Christians of Moravia. Ratislav would later fall out with Louis and the Franks and fight many battles with them. Marot's son Swatopulk (Svatopluk) at first served under Ratislav as the Prince of the Moravian Khazars but later he turned on his uncle and became the Duke with the support of the Emperor Carolman. However in 871 the Emperor imprisoned him and the Moravians invited Slavomir to be the new Duke of Moravia believing Swatopulk to be dead. Slavomir or Sloven was a Obrotrite Prince whose mother Meral (Mirel) was a sister of Khagan Moses Marot (Marovec). He married Rahmia a sister of Rurik's wife Efanda and they were the grandparents of Igor I Ruling Prince of Kiev. His father Prince Witzlaus of the Obotrites (Bogislav or Bodrog) came with his brother-in-law Mojir to Moravia. In 880 Swatopulk converted to Catholicism in order to receive Papal support. 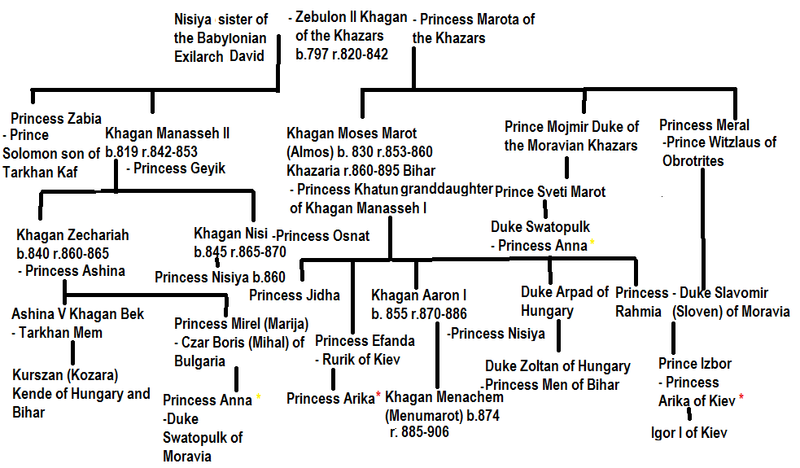 Empress Marija (Miral/ Meral) of Bulgaria was the daughter of King Zechariah of the Khazars (son of Manasseh II of the Khazars and brother of Khagan Nisi) and Queen Ashina (Princess of Bulgaria born about 820). In 866 Marija and her husband Czar Boris I of Bulgaria were baptised with many of the leading citizens. They took the baptismal names of Marija (Mary) and Mihal (Michael). Empress Marija's sister Ashina V was the last sacral Khagan Bek to reign in Khazaria. She went to Bihar with her uncles where she became the sacral Kende of Bihar and Hungary. Her daughter Kozara or Kurszan succeeded her as Kende (Kundu/ Kandake). On her death in 904 the women of the Royal lineage decided that the Sacral Queen Mother should be kept a secret among the women. They selected Princess Anna of Bulgaria the wife of Swatopulk of the Moravian Khazars. In a sense the sacral Khagan Bek of the House of Ashina was restored secretly to Khazaria when Anna's daughter Ashina became the Queen of the Khazars when she married King Benjamin. The sacral House of Kedi went south and the House of Meral (Wangjila/ Ongrat/ Khongirad) into the East where they would become the maternal clan of the Mongols. In 741 in the time of Tarkhan Bulan and his son the Khagan Sabriel Baghatur Bihar the Royal Men and the leading nobles had publicly embraced the Tengri-Turko-Judaism followed by the Sacral Queen Khagan Beks. Sabriel married Serakh a princess of the Exilarch family who reared her son Khagan Obadiah (Ovadia) in a more observant form of Judaism followed by the Davidic family which was less rigid than the Judaism of the Rabbis. 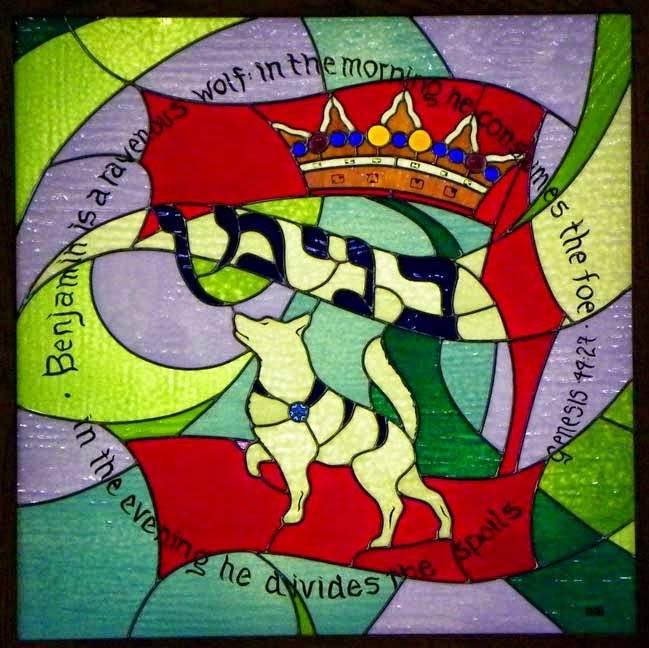 The Royal family became divided between these two forms with Obadiah's son Hezekiah and many of the nobles following the older Tengri- Judaism and his other son Chanukah (Chenoch) following the Davidic observances. The Davidic branch became more Rabbinic in observances and when Manasseh II died his brother Moses Marot who was married to a Princess who followed the Tengri form reversed the Rabbinisation process which led to his nephew Zechariah opposing him in 860 and seizing the throne and enforcing Rabbinic Judaism on the whole of the ruling class of the Khazar Empire. Until about 860 the bulk of the Jewish Khazars followed the Judeo-Turkish religion that was pre-Talmudic that referred to the one God as Tengri and the Shekhinah/ Sophia as Kozara Imma (Gazar Eje). Thus the conversion of the Khazar and Bulgar peoples to Christianity was from this Judeo- Turkish form of Judaism not Rabbinic Judaism. The Christian devotion to the Madonna attracted them especially the Black Madonnas. Moses (Marot/ Marovec/ Almos) uncle Mojmir also favoured the Tengri-style Judaism. 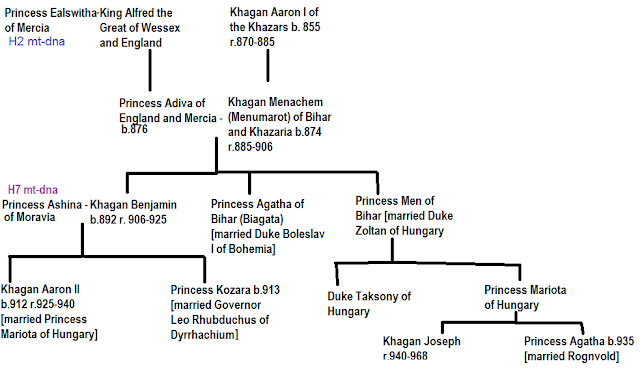 Three groups of the Khazars (known as Kabars) left Khazaria and Moses Marot went to the Khazar Kingdom of Bihar in Hungary. He became the Khazar King of Bihar and the Governor of Hungary. The Hungarians remember him as Duke Almos of Hungary. His uncle Mojmir led a group of Khazars to Moravia. Marot's son Arpad became the Khazar Ruler of Hungary after his death in 895 and his other son Aaron the Khazar King of Khazaria in 870. On the death of their cousin Nisi ben Manasseh in 870 Aaron I was invited to become the Khazar Khagan of Khazaria. His son Menachem who was known as Menumarot became the King of Bihar after his grandfather's death in 895. Menachem succeeded to the Kharazia throne on the death of his father around 906. He fought many battles with his brother Arpad and cousin Duke Zoltan of Hungary over Bihar's independence from Hungary. After being defeated in 904 he gave his daughter Princess Men to Zoltan to marry. When he departed for Khazaria Zoltan became the Ruler of Bihar. As King of Khazaria he embraced Rabbinic Judaism in 885 as his father Aaron had before him. Queen Ashina (wife of King Zechariah of Khazaria) was the daughter of Omurtag the Great Khan of Bulgaria and his wife Malamira (Mirel) of the Khazars the daughter of King (Khagan) Isaac of the Khazars and his wife Queen Bahira (b.782). 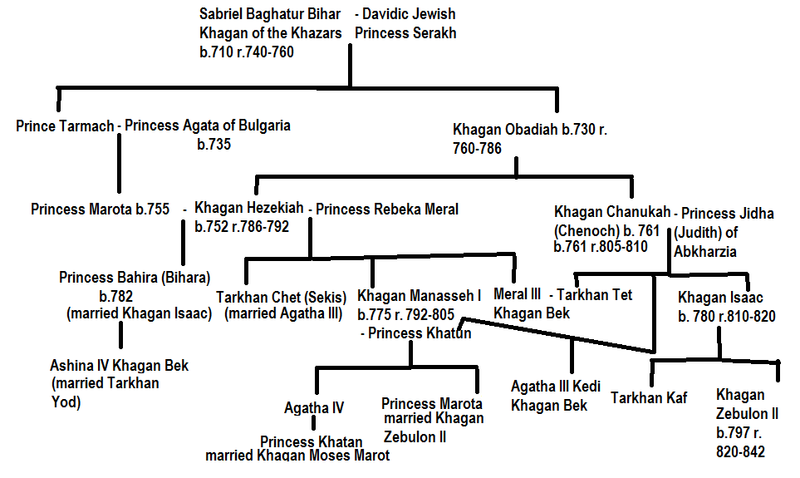 Khagan Isaac's brother Tarkhan Tet was the husband of Meral III Khagan Bek of the Khazars a Maternal descendant of Bulan's sister Geyik (daughter of Meral (Mulu) I. Queen Bahira was the daughter of King (Khagan) Hezekiah of the Khazars (son of King Obadiah) and his wife Queen Marota (Marada) (b. 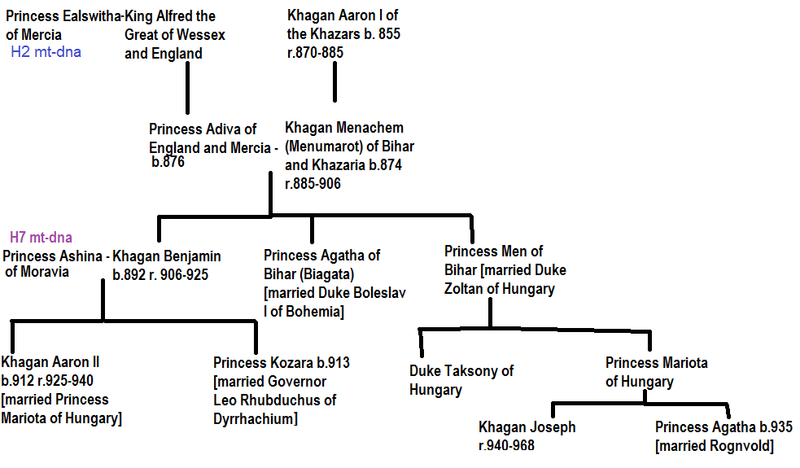 755) the daughter of Prince Tarmach of Khazaria (the son of King Sabriel Bihar) and Princess Agata of Bulgaria (b.735). Princess Agata was the daughter of Sevar, the Ruler of Bulgaria and his wife Karota of Khazaria (b.707) the daughter of Prince Tarmach of Khazaria (the brother of Tarkhan Bulan of Khazaria) and his wife Princess Agata of the Bulgars. Princess Agata (b.683) was the daughter of Tervel, Ruler of the Bulgars and his wife Aysha of Khazaria (b.665) the daughter of Alp Tarkhan of the Khazars and his wife Asena (Ashina). Princess Asena (she-wolf) (b.639) was the daughter of Kurt (the Wolf) or Kubrat (b.600) King of the Bulgars and Tamana [the daughter of Heshana Khan (Ashina Daman) and Princess Dula]. Princess Dula (b.602) was the daughter of Ishbara the fifth Khagan of the Eastern Turkic Khanate and his wife Princess Qianjin (Dayl) of the Northern Zhou. Kubrat or Kurt was a paternal line descendant of Bumin the Bejaminite (Q ydna) Khaghan of the Gokturks and his mother was a Princess of the Dulo Clan. These Benjaminite Princes were rulers of the Eastern Gokturks and over the Bulgars whose populations were of other ancestry. The Western Gokturks and the Khazars were ruled by a dynasty of Ephraimite Princes descended from the Slav Prince Istemi the half-brother of Bumin. Some of the descendants of these Benjaminite and Ephraimites Princes went to Scandinavia and as the Normans into Britain. Princess Qianjin (b.582) of Northern China was the daughter of Yuwen Zhou [a brother of the Emperor Wu, husband of the Empress Ashina] and Princess Qianjin Ashina (b.560). Princess Qianjin Ashina was the daughter of Taspar Khagan the fourth Khagan of the Gokturks and his Chinese wife Princess Qianjin (b.545). Princess Qianjin was the daughter of the Emperor Xiaomin of Northern Zhou and his wife the Empress Yuan Humo. The Empress Yuan Humo (b.530) was the daughter of the Emperor Wen of Western Wei and his wife Princess Bumina (b.515) the daughter of Bumin First Khagan of the Gokturks and his wife Princess Changle of Western Wei (b.497) a sister of Yuwen Tai Emperor of Western Wei. Changle was the daughter of Prince Yuwen Gong and his wife Lady Wang. Lady Wang was the same person as the Empress Wang Shaoming of Southern China. After her first husband was removed from being Emperor in 494 they were demoted and she fled to northern China as Lady Wang after his murder later that same year. She was a maternal granddaughter of the Empress Wang Zhenfeng who was wife to the Emperor Ming of Southern China. Empress Wang Zhenfeng (b.436) was a maternal granddaughter of the Empress Yuan Qigui whose mother was Lady Wang a concubine of her father. Lady Wang was a Princess of the Jin Dynasty that had been overthrown in 420. 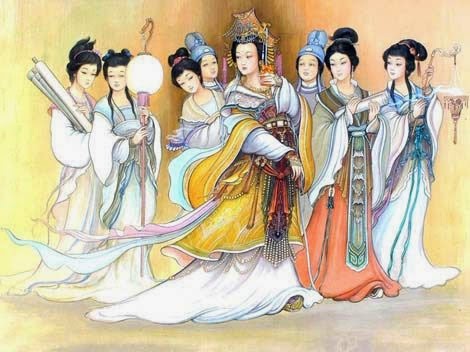 It was at this time that the history of the powerful Regnant Queens of the Zhou Dynasty was rewritten by the scribes of the Liu Song Dynasty as male kings. Lady Wang was the younger sister of the Empress Wang Senai (b.384). Their mother was Princess Xinan of Southern China the daughter of the Emperor Jianwen and his Consort Xu who was a sister of the Empress Wang Fahui (b.360). Xu and Fahui were the maternal granddaughters of the Empress Du Lingyang (b.321). Du Lingyang's mother was Lady Pei a granddaughter of the Empress Jia Nanfeng (aka Wang Jia of Zhou/ Ji Zhao). The scribes have created a falsified background for Jia Nanfeng and demonised her reputation. She was the heiress of the last and 36th of the Regnant Queens of the Zhou Dynasty Wang Nan who lost in battle with the male ruled Jin Dynasty. Queen Nan after her defeat was given the name Guo Huai and married to Jia Chong. Ji or Jia Nanfeng was married to the Emperor's son who later became the Emperor Hui. The traditional dates state that Zhou fell to Jin (Qin) forces in 256 BC but the true date was more like 256 AD. Queen Nan the 36th Monarch's ancestor the first Queen of Zhou was descended from the Yellow Emperor who was the last King of Israel Hosea (Huaxi/ Osee/ Huangdi) and his wife Kushi (Kashi) the daughter of Amah-te (Terasu) the 6th/7th century BC of H mt-dna. H7 and H6 mt-dna were to occur in the female lines of this dynasty. The line we follow is the H7 which probably began around 400 BC. King Osee was known as Susanoo to the Japanese. He married Princess Kushi the daughter of the Prince of Asher (Nasi Asher/ Ashi-nadzuchi) and his wife Amahterasu (Amah-Te) the daughter of the Queen Mother of the West, Hephzibah of Judah (Hsi-Wang-Mu / Izanami), and her husband King Hezekiah of Judah (Izanagi). Queen Kushi's brother Prince Ame of Asher (Ashi/ Oshi) was the ancestor of Jimmu (Ji-mu) the first Japanese Emperor or Empress (c.400 BC). The name Wang can mean 'king' or 'queen'. Originally the name meant the dynasty descended from Hsi-Wang-Mu [the Queen Mother of the West or the Wolf Queen or She -Wolf (Ashina)]. The Zhou Dynasty was originally a female dynasty which later scribes turned into kings instead of Regnant Queen Mothers. Hephzibah (Egyptian name Hatshepsut) the Queen Mother of Judah was an Egyptian and Kushite Princess of the female line of Egyptian Princesses of H mtdna. Her father was Pharoah Shabaka of Egypt and Kush. The so-called Eastern and Western Zhou are a female Dynasty of Warrioress Queens. Queen (Wang) Kushi was also called The White Empress Ku (which the scribes changed to the White Emperor Ku). Her consort husband was Qingdu. Their son was Houji or Changyi the leader of the Manassehite Warrior Horsemen. Another son was Yu Qi (Yao). Changyi's son Zhuanxu was claimed as the ancestor of the patriarchal Qin Dynasty. It is said he rebelled against the matriarchal system. Empress Queen Ku Shi's daughter Queen Danfu (born about 560 BC) was the mother of Queen Jili. Danfu was also called Queen Tai (Taisi/ Zhou Tai Wang)) and is remembered as a Queen of stunning beauty. Jili's daughter was Queen Wen whose daughter was Queen Wu of Zhou (Zhou Wang Wu) (born 500 BC) and was also known as Ashina Tuwu and considered the first Queen (Wang) of Zhou. Her daughter Queen Cheng (Princess Song) of Western Zhou (the Wolf Kingdom) whose consort was King Shuyu (Shemo) of the Tribe of Benjamin. Queen Song Cheng and Shuyu were the parents of Queen Kang of Zhou (b.460) and King Jin Houxie the ancestor of the Jin Dynasty of Chinese Emperors. They came from the West and came into conflict with the Shang people of China. Queen Cheng's three uncles rebelled against her and her aunt the Regent Duchess Dan of Zhou (Zhou Dan Gong)but were defeated. Queen Kang followed her mother Queen Cheng’s policy and expanded the Zhou territory in the North and in the West. She also repressed a rebellion in the east. Her daughter was Queen Zhao who was not interested in politics but was tricked and drowned by her enemies. Her daughter Queen Mu (Princess Man) was an important Queen of Zhou who was born around 420 BC. She visited the homeland of the Amazon High Queen of Sheba which had a form of advanced science. She was succeeded by her daughter Princess Yuhi who was known as Queen Gong and she was succeeded by her daughter Queen Yi (Princess Jian). After her death her aunt Pifang Xiao was Queen followed Yi's daughter Queen Xie Yi of Zhou. In the time of the 8th Queen of Zhou Xiao Pifang was established the Qin fief by Feizi. Lady Feizi's descendant Xiang was made the Duchess of Qin by Queen Ping of Zhou. The 18th Queen of Zhou was Xiang Zheng who married Lord Anguo of Qin son of the Queen Zhaoxiang of Qin. Their son Lord Jiren overthrew the Matriarchal rule and declared himself the male Queen (Wang) of Qin as Qin Zhuangxian Wang. His son Ying Zheng was the first male Chinese Emperor (huangdi) named for the so-called Yellow Emperor (Huangdi). From this time the male Emperors and the female Queens of Zhou would fight for supremacy. Queen Zhaoxiang was the daughter of the first Queen of Qin Huiwen (Huan). After the fall of the Qin as Emperors Ziying (Ying or Jing) was made the Duke of Qin. His descendants ruled as Dukes of Qin until the 3rd century. The Chinese dynastic histories are in need of major revision. In the first century this feminine Wang Dynasty seized control of the male dominant Han. The 25th Queen Dao of Zhou (Princess Meng) was the sister of the Han Empress Wang Zhengjun. The Empress invited her niece Princess Mang of Zhou) (b. 60 AD) the daughter of Queen Meng Dao (Wang Man) to live in the Han court after her mother was murdered by her sister. The Chinese male dominated historians later changed her into a male Emperor. Wang Mang's daughter the Empress Wang was married to the Han Emperor Ping. Wang Mang overthrew the Han Dynasty and declared herself the female Emperor. This was the beginning of her troubles which ended with her death at the hands of the young men of the capital killing her and her daughters and the other women of influence and restoring the male Han Emperor to the throne. Wang Mang's granddaughter Wang Jing Gai (born about 104 AD) was placed on the throne of Zhou as its 26th Queen Regnant after Wang Mang removed her murderous aunt Wang Zichao (who was not numbered as a Queen of Zhou). This reconstruction of Chinese dynastic history redates the traditional interpretation. The Zhou dynasties begin post 600 BC and the battle between Shang and Zhou is dated around 500 BC.The Zhou Dynasty of female Monarchs lasted from 500 BC to 256 AD. The Han Dynasty is also in need of redating. The Han Dynasty began around 100 BC not 200 BC so most of the dates need to be adjusted by 75-100 years. Siam Qian the famous Chinese historian was writing after the time of Jesus Christ. The Bamboo Annals or Chronicles were buried with Queen Xiang of Wei in the early 3rd century and were found again in the mid 4th century (350 AD in the reign of Emperor Wu of Jin) which recorded that when the Emperor Zhao was 19 in 31 AD there was tian-da yi (the day the sky greatly darkened). This was the day of darkness of the crucifixion. They later interpreted this to mean year 19 of a King Zhao in the 10 century BC. The Emperor Zhao died the following year after tian-da-yi at age 20 in 32 AD. Trying to date anything using astronomical calculations before the 5th century BC due to the change in year length from 360 days to 365.25 days around 605 BC and other factors [as discussed by Velikovsky] is a difficult task. This rediscovery of a Turko-Chinese feminine culture would explain the origin of the Chinese content in the tales of the Arabian Nights such as Aladdin who was Chinese and its emphasis on Romantic courtly love for one's Lady. These tales came to the West via the movement of the so-called Turkic tribes associated with the Ashina (She-Wolf) clan. The tales of the Jinn as a cross between angels and demons finds its origin in the tales of this feminine culture and its battle with the masculine culture of the Jin Dynasty of China. The linking of King Solomon and the Jinns comes from this influence of the Queen Mother of the West (Hephzibah of Judah) who was a descendant of King Solomon and his Egyptian wife (the sister of the Queen of Sheba). This feminine culture was greatly formed by the concept of the Lady Shekhinah embodied in a earthly woman found in the "Song of Solomon" and the wisdom literature. This feminine mystique was suppressed in China after the 3rd century which lead to a certain lack of creativity and the static nature of Chinese development. We still see the deadly part of this downplaying of women in Chinese culture today with the killing of baby girls and the Chinese daughter becoming part of her husbands family rather than her own. The custom of footbinding was originally introduced to the beautiful Warrioress "Wang" women so that they could no longer be independent of the men. This custom under male dominance would gradually spread throughout Chinese society. The original Queens descended from King Hosea (R1a-Z93 ydna) and Queen Kushi (H mt-dna) were blonde and red haired. The remnants of these people have been found in Western China with Caucasian mummies with red and blonde hair wearing tartan clothing. Today in Western China are found many red and blonde haired descendants of the ancient Chinese. The Han Chinese call Caucasians the big nosed red haired people and have a prejudice against them going back to the time of the Red haired Queens of Zhou. It is possible that the Loulan Beauty is one of the early members of the Wang Dynasty before they moved to Zhou from Western Desert Region of Xinjiang. It may be Queen Kushi herself for whom Kashi or Kashgar was named in Xinjiang Region of north-western China. 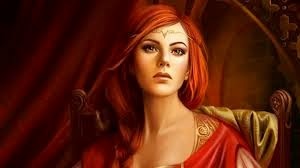 These red-haired Queens are associated with the wolf which was the emblem of the Tribe of Benjamin (Q ydna). 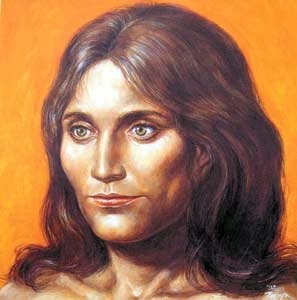 The red wolf is to be found in North America where many of the Benjamites went from their kingdom in north-east Siberia where they encountered the red wolf which became associated with the Ashina Queens of Zhou. 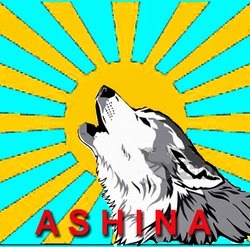 The later Ashina clan after 256 adopted the gray (or gray-blue) wolf of the East. The Zhou Queens adopted the fengjian (feudal) system as a form of government. This system was introduced by Queen Mu Man of Zhou around 400 BC after her visit to the Amazon (Sheban/ Theban/ Sunda/ Mu/ Sin/ Send) homeland from which the system originated. The name Amazon actually referring to the matriarchal society of Zhou. Ama or Amah was a Nursing Mother and the Queens of Zhou were known as Amah-Zhou (ama-zu, amazon) as the mystical mother and Warrioress Queens. Later the Jin Dynasty took this fengjian system and patriarchalised it. At the head of this decentralized form of government was the Queen Mother (Wang or Wang Mu), then the Duchesses (gong), followed by the Marchionesses (hou), then the Countesses (zi) and the Baronesses (nan). When many of these Amazons fled West to join the movement of the Gothic tribes into Europe they brought this feudal structure with them. It has been hidden that the so-called dual kingship of the Turks of a spiritual ceremonial Ruler and a governing Ruler was originally based on the separate matriarchal houses of Northern China of the Queens of Zhou (Zhou Wang) and the Duchesses of Zhou (Zhou Gong). H7 mt-dna being the haplogroup of the Queens of Zhou and H6 mt-dna of the Duchesses of Zhou. But it was actually a Triune Monarchy as the Sacred Ceremonial Queen had a female left wing of mounted warrioresses led by the Duchess of Zhou and a male right wing of mounted warriors led by the Chanyu of Xionghu. The Chanyu was also called Qinwang, Jinwang or Jinong as the male Queen (King). Among the Turks, Mongols and Khazars were found the titles of the Khagan, Khagan Bek, Khatun and Tarkhan. After their conversion to Judaism the Khazars called the male military Khagan the Malik (king) and the sacred Khagan (Empress) the Khagan Bek (Gibirah). The title Tarkhan was reserved for the husband of the Khagan Bek. The Sacred Khagan Bek (Empress) was selected from the ladies of the two female houses of Zhou and a third house. The first house of Ashina (She-Wolf/ Zeba [Hebrew]/ Mulang [Chinese])) mothers and the second house of Meral (female deer/ Ayala or Tzeba [Hebrew]/ Mulu [Chinese]) mothers. The third house is known as Khatun or Kedi originally coming from the Hebrew Chatul for Cat. These are the Cat mothers. The Khagans also often chose their Khatun (Queen/ Malka) from these three houses. The Princesses of the House of Kedi also used the title Khatun (Geveret). There is no agreement among modern scholars whether the Khagan or the Khagan Bek is the military King of the Khazars. The Ashina mothers followed a pre-Talmudic form of Judaism that was passed on only to the daughters of the royal houses. The King and the leading noblemen embraced this pre-talmudic Judaism in 741 as discussed above. They gradually embraced Talmudic Judaism as many Talmudic Jews entered Khazaria after their open embrace of Judaism. The Ashina House descended from the Queens of Zhou were of H7 mt-dna descended from Khagan Bumin of the Gokturks' daughter Bumina. The Meral House descended from the Duchesses of Zhou were of H6 mt-dna from Meral the mother of Tarkhan Bulan. The Kedi (Cat) House descended from Barsbek (Rebecca) of H2 mt-dna. It is from her that the title Khagan Bek developed. Her husband Bulan's name meant elk. Tarkhan Bulan was the son of Hazer Tarkhan and Queen Meral (Mulu of China). Queen Meral was a female line ancestor of Hoelun the mother of Genghis Khan. Hoelun and Meral in turn was descended from the Lu Wang (Deer Queens or Kings) or Khongirads (Wangjila in Chinese) who were descended from the Duchesses of Zhou whose state was called Lu and they were known as the House of Lu (Deer). Meral (Mulu) was a sister of Empress Lu of China. They were the daughters of Li Xian Prince of Lu and his wife Lady Xiangyang (b. 650). It is through the H6 mt-dna Khongirad/ Mongol Queens and Princesses that H6 is so populous and widespread. In order to truly read the dna evidence one needs to ignore the evolutionary influenced dating of dna and archeological/ historical cultures. H6 did not originate 40,000 years ago but about 2,400-2,600 years ago. It did not enter Europe 5,000 years ago but within the last 1000 years. Lady Xiangyang was the granddaughter of Princess Xiangyang the daughter of Empress Taimushunsheng, the daughter of Princess Xiangyang of Northern Zhou (b.550). Princess Xiangyang was the daughter of Emperor Yuwen Tai and Lady Wang. Lady Wang was the daughter of Lady Lu (b.505). Lady Lu was the granddaughter of Princess Xunyang daughter of the Empress Lu Huinan (b.412). Her mother was Lady Wang. Lady Wang was the daughter of Lu Wang the Deer Queen. The Lu Wang (Deer Queens) were the descendants of Duchess Qing of Zhou who had gone into the north-West of China under Xionghu overlordship after the defeat of Zhou in 256 AD. Duchess Qing of Zhou was descended from Princess Dan the first Amazon Warrioress Duchess of Zhou the younger sister of Wu Fa the first Queen of Zhou. The philosopher-troubadours of Zhou were called Shi and served in the courts of these Amazon Queens, Duchesses, Marchionesses, countesses and Baronesses. In the most creative period they speak about 100 schools of philosophy contending which later narrowed to 9 and then with male dominance to only 3. The traditional dating of Chinese events would place the great philosopher Mozi (Moses) of the Mohist school of philosophy in the Zhou Dynasty in the 5th century BC whereas he lived in the first or second century AD. He was influenced by the Greek sophists. He lived in the Zhou state of Lu ruled by the Duchesses of Zhou (Deer Dynasty). His family had moved east with other Jews or Jewish Christians when the Romans had expelled the Jews from Palestine. Confucius is dated traditionally to the 6th century BC but lived in the 1st century BC or early 1st century. The word Troubadour comes from trobar or truvor. Rurik the First Ruling Prince of the Rus in the 9th century was accompanied by Truvor who was later said to be his brother but was in fact his Khazarian (Kabarian) Troubadour. Truvor (or Tuvan) was the Chinese Troubadour (Sineus Truvor) of Rurik's wife Efanda who was a Khazar Princess the daughter of Marot (Marovec/ Moses) the Khagan or King of Bihar Khazaria (b.830) [ son of Khagan Zebulon of Khazaria] and his wife Khatun [granddaughter of Khagan Manasseh I of the Khazars]. On Rurik's marriage to Efanda he took the title Khagan and Tarkhan of the Rus. Rurik's mother Umay or Umila Khatun was the daughter of the Tarkhan (Dharkan/ Dag) Kaf of Khazaria and his wife Agatha IV Khagan Bek. Rurik's daughter Arika married Izbor of the Obotrites (N ydna) and they were the parents of Helgu (Oleg) the father of Prince Igor from whom the majority of the later Rurikvichi descend. Izbor was the son of Sloven or Slavomir II of the Obrotrites who descended from Witzlaus (Vidlas/ Vidal) I of the Obrotrites a son of the first [Alp] Tarkhan of Khazaria a Jewish Hephathalite (Nephthali/ Naphtali) descended General of the Gokturks. The first Khazarian Tarkhan was the son of Nizar (Wazar/ Waraz) Tarkhan of Tokarestan. These Hephthalite Tarkhans are called Yida Taihan by the Chinese. They were descended from the Hephthalite Nezar (Naphtali or HaAyala Prince (sar/ zar) Ha Naftali Sar) Dynasty of Kapisa in Afghanistan. After the fall of Zhou many of the Amazon woman and their menfolk moved West and influenced the so-called 10 Gothic nations that invaded Europe and the Roman Empire. In these cultures women played a much more powerful role in society. 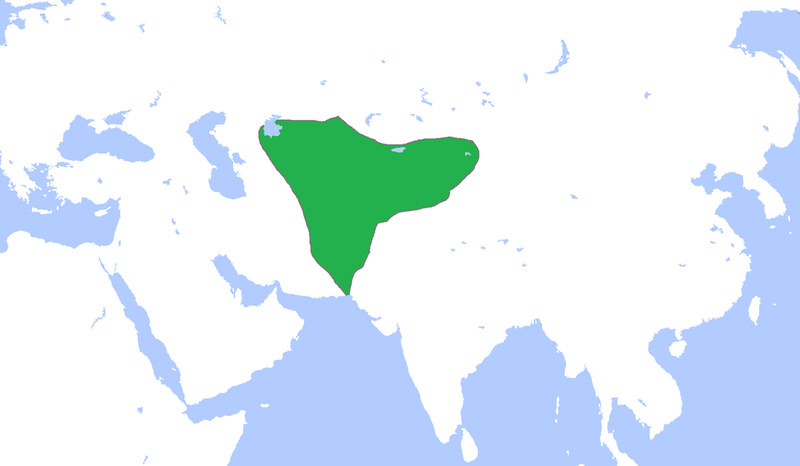 Others remained in the lands west of China and were influential among the Turks, Mongols and Cumans. It was this group that entered the Muslim world and led to the great flowering of spiritual and mystical Islam and the ideas of romantic courtly love that elevated upper class women in the lands of Islam in the medieval period especially in Islamic Spain which spread these ideas though the Troubadours into the southern Catholic lands. At the forefront of this movement were the remnants of the Davidic families and the Davidic Ladies found in Islamic, Catholic and Jewish communities. Another group of Amazons went South to join the Amazon kingdoms in Australia (Sheba/ Sunda) and the Southern Indian Ocean. This group in the 16th century moved with the Australian remnants of Manasseh, Gad and Reuben to central Asia. Ancient Australia in the time of Job was known as Uz or Uzzu (which means strength or help). The female Ruler of Uzzu was known as Amah (Nursing Mother) and she was served by a militia of mounted women warriors which became known as the Amazons or the Helpers of Amah. They served the women of the Royal House and accompanied Hephzibah (Hatshepsut) the Sheban Queen-Empress of the South and her sister to Israel. King Asa of Judah (reigned 815-774) married the Amazon Ruler in Israel Azubah. Azubah was a widow of Lord Yeh of the House of Nathan in Egypt and she was also known as High-Queen (Amu-zu) Zabibe (Zenobia) of the Kedarites or Amazon Shebans. Her granddaughter Zibiah (Tzibiah/ Deer or Gazelle of God) of Beersheba was the wife of King Ahaziah of Judah. The Hsi in Hsi Wang Mu (Queen Mother of the West) was originally Tzvi (Deer or Gazelle). When these Deer Queens interacted with the Benjaminite Wolf Tribe in Western China one group changed the Tzvi to Zvi (Wolf). Zabibe or Tzi Bibi means the Lady Gazelle or Deer. The female House of the Deer goes back to Dinah the daughter of Jacob and Leah who is associated by the Greeks and Romans with Artemis (Diana) the daughter of Zeus (Jupiter) and Leto (Latona). Solomon had given the Amazons at least two fortified cities Azuba and Zurah. Queen Mother Azubah's daughter was the Amazon Ruler of Zurah. Zurah married King Omri of Israel. Their daughter was the infamous Athaliah (Addal) the Queen Mother of Judah. Her daughter Jehosheba (Josabeth) was the mother of Jehoaddan (Amazon Marchioness (Hou) Dan or Adan) the Queen Mother of Amaziah of Judah. Zu (Xu) or Zhou means 'help' in Chinese and Zhou in China was named for these Zuites led by their Amahs (Amu/ Nursing Mothers/ Wang Mu). China and all of the East and Southern Hemisphere were once subjects of the Great Mother High-Queen and Empress both matriarchal and patriarchal ruled societies. They believed in a more decentralised form of government that was to develop into the feudal (Fengjian) system. The human Great Mother was seen as a human mystical embodiment of the Shekhinah (Ashina) who was the Mystical Womb (Rakhem) of Compassionate Mercy and the Just Heavenly Queen Mother of Love. The forces of dominance resist the truly feminine because it is the rule of the Heart over the Head. The heartless republican, fundamentalist protestant, radical feminist or atheist fails to understand and appreciate the mystique and power of the truly feminine Queen Mothers in the figure of Our Lady or the Female saints as well as the devotional nature of the people to the late Queen Mother Elizabeth Bowes-Lyon, our present Queen Regnant Elizabeth II, Diana, Princess of Wales the Queen of Hearts as well as to past Queens such as Victoria the Great White Queen -Empress, Elizabeth I the Virgin Queen, Mary Queen of Scots, Queen Boudicca etc. 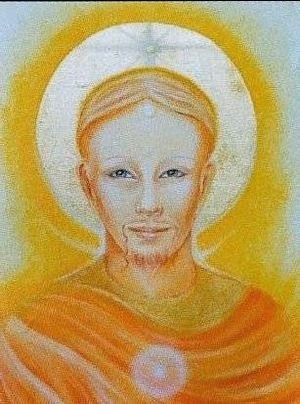 This feminine heart dimension elevates and ennobles the soul and causes it to look to beauty, truth and goodness and most of all to pure and mystical love. It is through the feminine heart that we can best perceive the strength, clarity, fruitfulness and authority of the masculine mind. My revised dates of ancient history can be found in "Alternative History of Ancient Australia and Egypt"